Now that it’s summer, it seems like there’s a new wedding shower, engagement party, and of course, an actual wedding to attend! While this is a very exciting time (who doesn’t love love, am I right? ), it can also be very stressful for both the newlyweds-to-be and their guests. 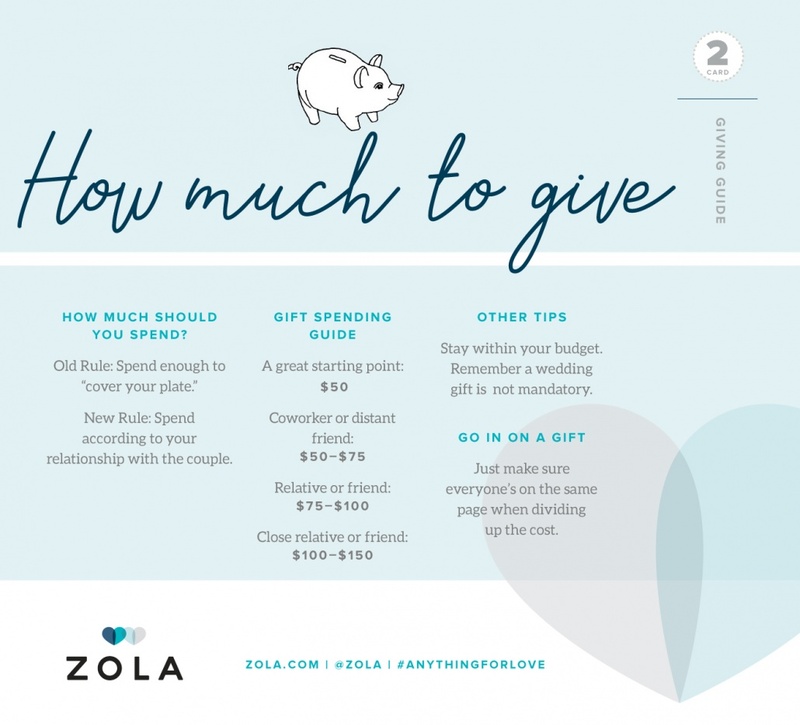 Luckily there’s sites like Zola, an online wedding registry, that make it super easy to create, share, and buy from a couple’s wedding registry. 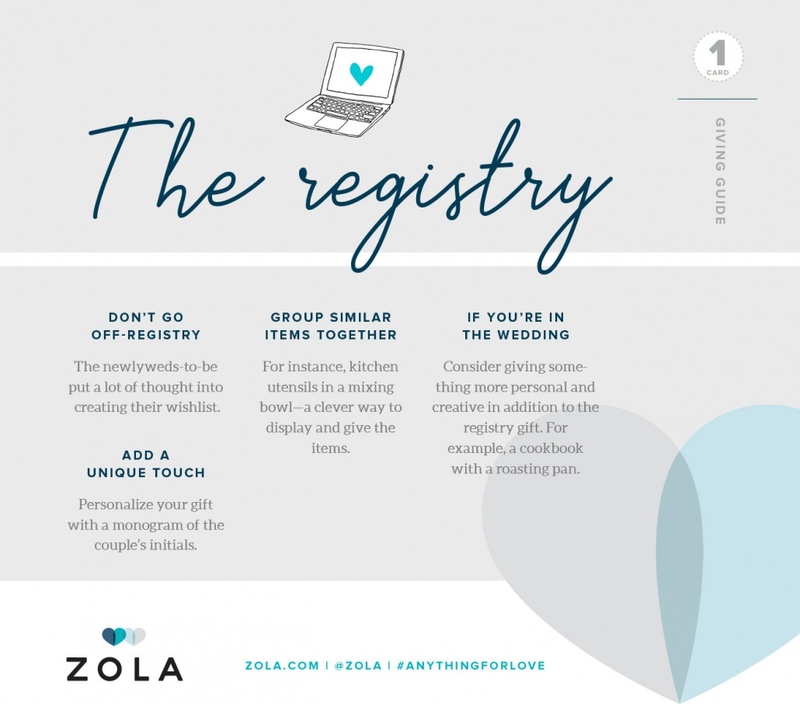 Here are some quick tips for both couples creating an online wedding registry and for guests who simply don’t know what to get the new couple! Your wedding registry is the guests’ foolproof guide. The sooner you register, the better off you and your guests will be! I’d recommend having your registry set up before you send out the save the dates. You may be able to check some gifts off before the wedding even happens! This is an essential step. Why put all that work into creating your registry if no one ever sees it! You are encouraged to have your registry listed on save the dates, invitations, and your wedding website. You do want those gifts, don’t you? Plus your guests will be thrilled to get you something you’d love on your special day. A lot of modern couples today feel pressured to get traditional gifts like new blenders, fine china, and other kitchen supplies. It’s likely that you already have majority of the things you need and can use your registry for more unique things! 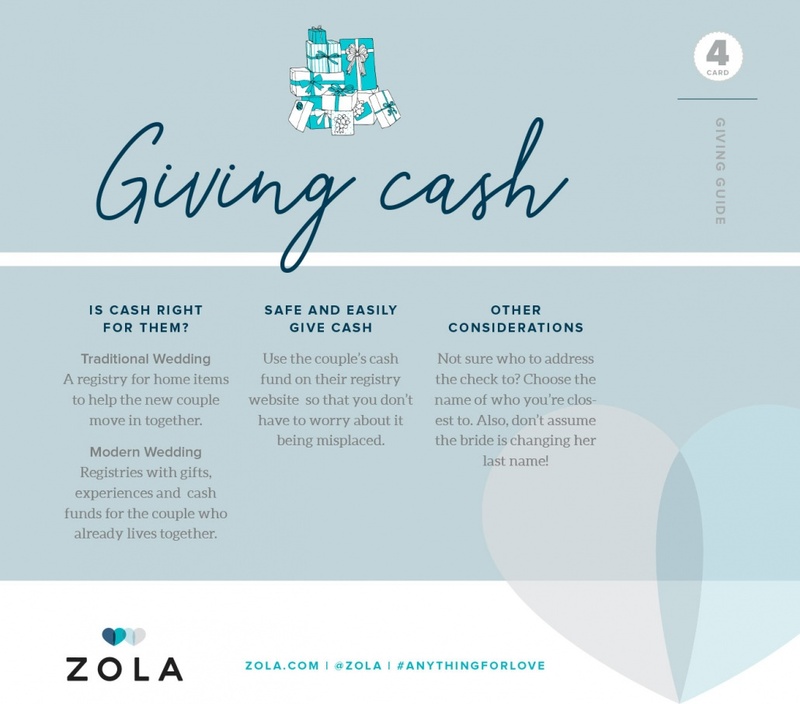 With Zola you can register for cash and honeymoon funds, and a variety of different experiences, so don’t limit yourself! While online registries are becoming the norm, don’t forget about those guests who want to physically see the items they’re purchasing. While you are encouraged to pick some fun items or experiences, have some options that guests could buy in store. 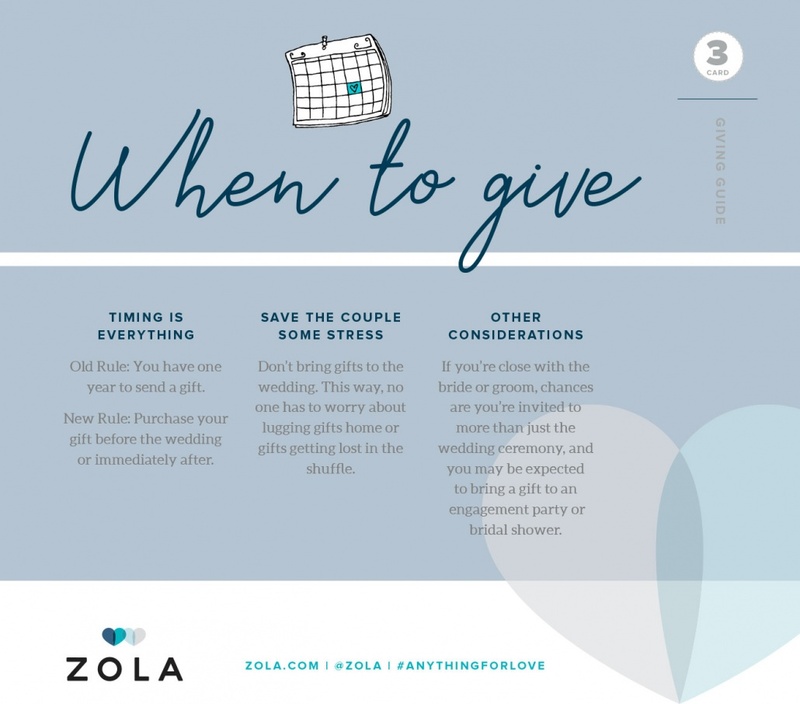 Now for the guests, Zola has four super helpful tip cards that will guide you through the proper gift etiquette. For more tips and assistance with etiquette feel free to get in touch with us here or by email at angela@elitewedevents.com.